What are the side bets offered in New England’s Casinos for Blackjack? And are they worth playing? We will list the side bets, explain a little about them, and give John Grochowsk’s take on if it’s worth it. Keep in mind some side bet paytables differ even with the same game. My suggestions is to check out the Wizard of Odds for more on side bets variance for blackjack. In New England’s casinos, there are a variety of side bets. 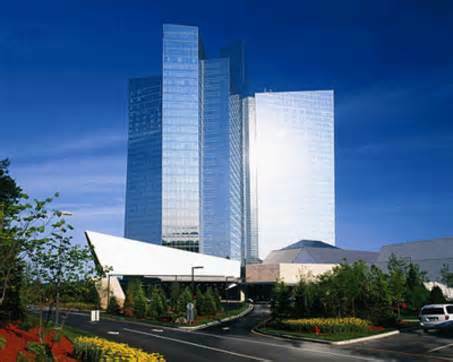 The most popular is Match the Dealer, which can be found at Mohegan Sun, Foxwoods and Twin River in Rhode Island. 2 suited matches pay 22 to 1. According to many players, this side bet has a fixed house advantage that is fairly high, several times higher than blackjack. Not a good bet. 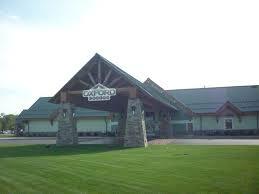 Lucky Ladies side bet c an be found at the HOLLYWOOD Casino, Hotel & Raceway in Bangor, ME. LUCKY LADIES™ BONUS BET is a side bet based on the player’s first two cards and the dealer’s up card. As far as I know, it is the first side bet to be based on the player’s first two cards and the dealer’s up card. Since it came out, there have been many imitators. Lucky Ladies is also known as, “The 20 Point Bonus Wager” point count of their first 2 cards equals 20. JG – Lucky Ladies: There’s the possibility of huge wins here, with a 1,000-1 bonanza if the player is dealt two queens of hearts while the dealer has a blackjack, or 125-1 on a pair of heart ladies regardless of the dealer hand. In the version I’ve seen, there’s also a 19-1 payoff on a 20 if both cards are the same rank and suit, 9-1 on a suited 20 on cards of different ranks, such as jack-king, or 4-1 on an unsuited 20. That’s an attraction, to be sure, but at a 24.71 percent house edge, the cost is high. Average loss per hour is a whopping $14.83 of the $60 at risk. That dwarfs the average blackjack loss for a $10-a-hand basic strategy player, and is even higher than the loss for an average player. Think about it: That extra $1 per hand more than doubles the average loss for a $10 blackjack bettor who is just an average player. For those who don’t limit the side bets to a buck, just multiply by your bets. Make the side bets equal to your $10 blackjack bets, and average losses shoot up to about $20 an hour in 21 + 3, $40 in Royal Match, and $148 in Lucky Ladies. This side bet, found at Oxford Casino, in Oxford,ME., pays based on the player’s first two cards and the dealer’s up card. If the three cards equal a flush, straight, straight flush, or three of a kind the side bet pays 9 to 1. It does come in various versions according to the number of decks. JG – “21 + 3: At mostly full tables, the $1 side bets mean a risk of $60 per hour. The 3.24 percent house edge means a few pennies shy of $2 extra in the house coffers. For basic strategy players, that’s just $1 less than the losses from betting 10 times as much on the main game. Average players who are losing $12 an hour might find that extra two bucks palatable for the chance at 9-1 payoffs if their two cards plus the dealer’s up card form a flush, straight or three of a kind. It’s a much smaller leap from their regular loss rate of $1.20 per $60 wagered. The side bet is $5 and $5 only. 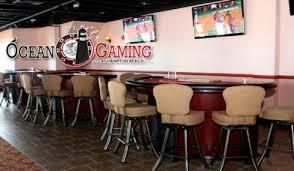 The circle will be to the left of the blackjack bet as Match The Dealer will be retained in it’s usual place. Super 4 is a progressive blackjack side bet based on the four cards consisting of the player’s and dealer’s initial two cards. In both, the player wins on a dealer blackjack. The amount of the win depends on the poker value of all four cards. One gentleman walked away feeling very lucky on July 12th after hitting the Super 4 Diamonds bonus jackpot totaling $347,456. Blackjack Match is a side bet that wins if the player and/or the dealer have a blackjack. The value of the win is maximized if the blackjacks are suited and match. Unlike most other progressive side bets, this one costs $5 instead of $1 and are on a “for one” basis, meaning the original wager is not returned on a win. On the top two awards, there is an “Envy Bonus,” which means a win for every other player at the table who made the side bet. 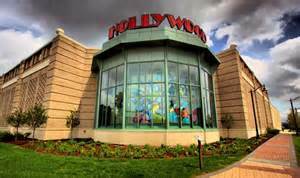 We visited all 7 New England Casinos this summer. This is part of what we found. More comparisons and info will be presented throughout the fall.